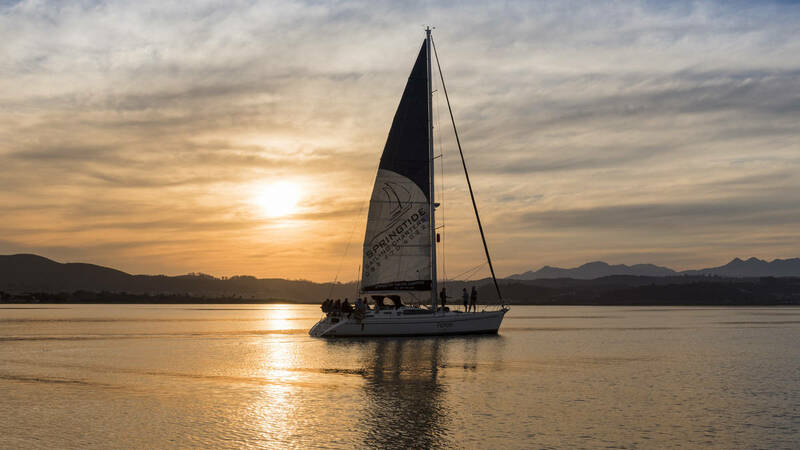 A sunset cruise on board our sleek 50ft mono-hull yacht, departing from the Knysna Quays Waterfront, across the stunning Knysna Estuary and out to sea through the majestic Knysna Heads. 2.5 Hour Interactive Lagoon and Ocean Sail. 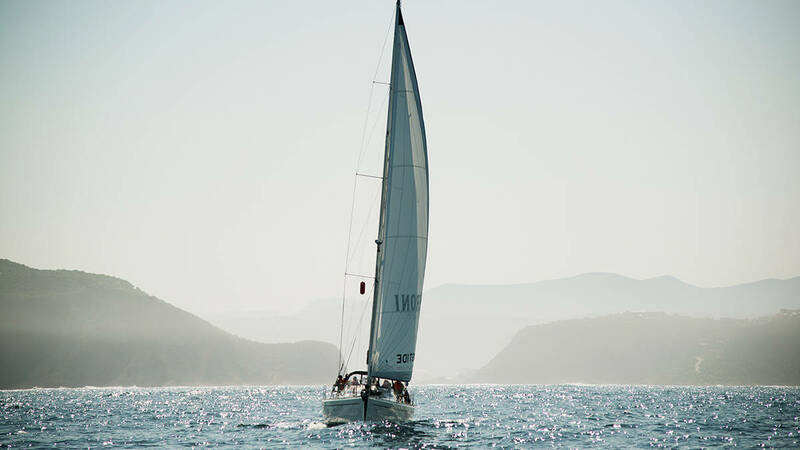 Take a turn at the helm, or simply relax and enjoy your surroundings as we take a sunset cruise along the lagoon and out through the Knysna Heads. Toast the end of the day with a glass of Bubbly. WhenSeven days a week, bookings essential. 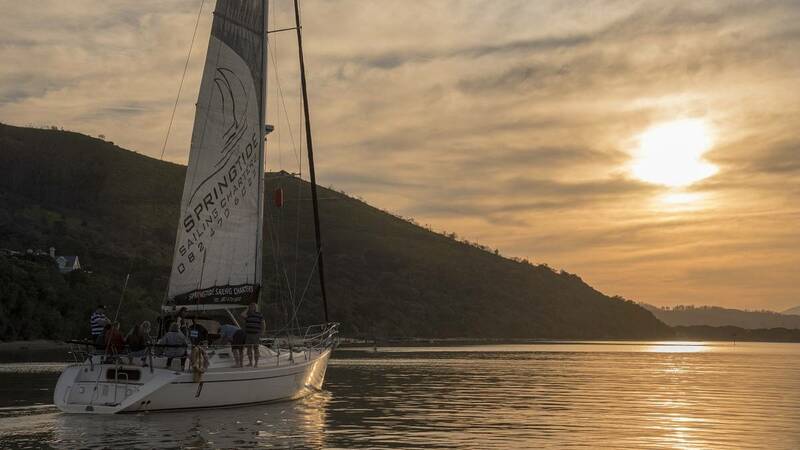 WhereCompany: Spring Tide Charters Outeniqua Peroni Yacht mooring Red and White stripped Light House Kiosk No: 7 The Waterfront -Knysna Quays GPS Coordinates: 34° 02’ 30.3” S 23° 02’ 41.2” E Directions to our Yacht for check-in at the Waterfront – Knysna Quays, Knysna. (in front of Dry Dock Restaurant) Make your way to our lighthouse inspired Ticket Office for check-in. Kindly arrive 15 minutes before departure. GPS Coordinates 34° 02’29.75”S | 23° 02’53.1”E Coming from PE/ Plettenberg Bay: Take N2 to Knysna and turn left onto Waterfront Drive. At the 2nd traffic light, turn left into Gray Street. Park in parking area and make your way through the Knysna Quays promenade. Walk across the bridge and you will find our lighthouse inspired ticket office on the right-hand side. Our yacht is moored in front of the Dry Dock restaurant. Coming from George: Take N2 to Knysna and turn right onto Waterfront drive. Turn right at 1st traffic light into Gray Street. Park in parking area and make your way through the Knysna Quays promenade. Walk across the bridge and you will find our lighthouse inspired ticket office on the right-hand side. Our yacht is moored in front of the Dry Dock restaurant. 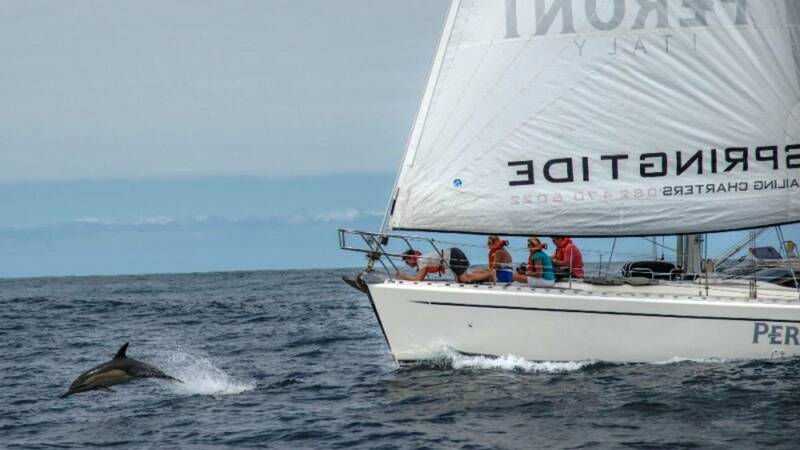 WeatherAll trips weather and conditions permitting, sailing out through the heads is determined only on the day and by the skipper! What to WearDress casual & comfortable. We have a no shoes policy on board so bring socks during cooler months. For summer months bring bathing costumes! Things to BringYou are advised to bring sunblock, sun hats and a warm top or jacket. Don’t forget your camera. Please note we have a no-shoes policy on board our vessel so guests are advised to wear socks during the colder months. Additional refreshments to own account. Please note that while this is a grown up activity, children are welcome on board under the supervision of their parents at all times. Since we are limited to a carrying capacity of only 12 passengers, children are charged full fare. If the minimum number of guest have not been reached by the time of the service, the trip will either be cancelled or guests are welcome to pay the minimum fee equivalent to 4 adult tickets to proceed with trip.